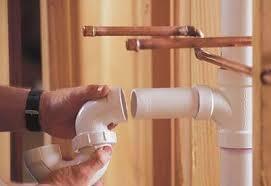 CRG Plumbing & Maintenance can assist with all your plumbing renovation needs. As we all know a well planned and executed renovation can improve the flow, efficiency and aesthetics of a previously poorly designed and/or poorly functioning room. Cameron will come out and assess your property and plans and discuss the feasibility of your ideas and whether they are catering to your needs and will liaise and coordinate our work with your tilers, cabinet makers and other contractors to ensure that the job is done on time and within budget. We can install, repair, replace and relocate a comprehensive range of fixtures including baths, vanities, showers, toilets and tap wear and we ensure that any pipework relocation’s is carried out to meet project time-frames. We can install, repair, replace and preposition a broad range of fixtures and appliances such as taps, flick mixers, sinks, pipes and drains, water filters, boiling water and chilled water systems, dishwashers, gas cook tops and ovens. We can also assist with laundry renovations and other household or building plumbing renovation needs. Call Cameron now on 0438 517 552 for all your renovation enquires.